Receive a free and professional valuation of your property. Short talks and fast decisions. 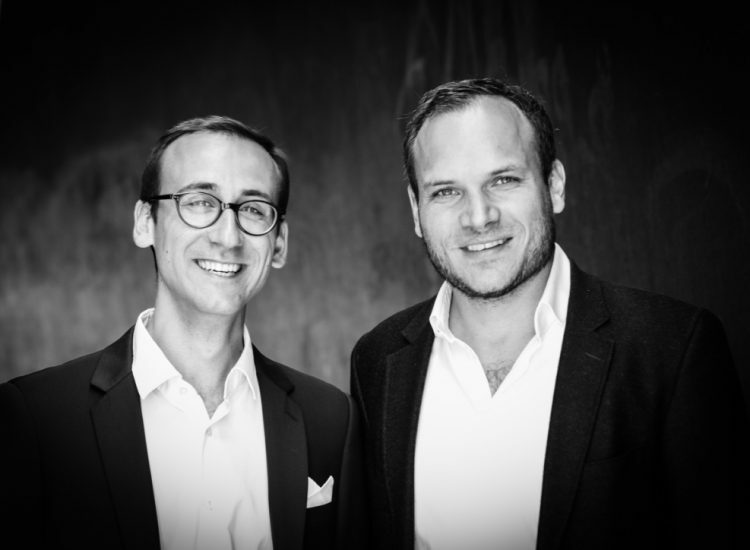 Our experts in Berlin are happy to answer your questions. Berlin’s real estate market continues to develop and prices to increase. The German capital wins new arrivals each year with a perfect mix of economy, political situation and high-quality life. There is an important demand for real estate, especially in the central areas and the offer is not able to handle it. Despite numerous new construction projects (“Neubau“) – from opened cooperative building companies or from private developers, private initiative cooperative projects and central exclusive offers, the offer still does not meet the need. The consequences are the increase of the real estate prices and rents. The average inquired real estate prices for a single apartment is approximately 3.706 euro per square meter (+12,7% more than in 2017; Hyp Wohnmarktreport, 2018); this number is for all Berlin. Locals as international investors see the high potential of the city on the Spree and are specially getting interested in apartment buildings. The average inquired prices for apartment buildings is approximately 2.621 euro per square meter (+16,4% more than in 2017; Hyp Wohnmarktreport, 2018) and asking price 3.330 (first quarter 2018). International investors hope that the real estate prices will continue to increase. Indeed they are still very low in comparaison to other European metropoles. Thereby a Danish pension fund bought 3.700 apartments. In terms of transaction volume, the part of international investors have grown from 27%. (Wirtschafts Woche). The investors’ strategy stroll from “buy and sell” to “buy and hold“. In 2018’s first quarter, 12% less individual housings have been sold in comparision to the previous year (Berliner Zeitung). It comes to a turnout in the former less attractive districts such as in Berlin’s commuter belt: “Speckgürtel“. Talking in price ranges, we can see that the lower price range (unter 2.000 euro per square meter) is decreasing and in some districts of Berlin they are no housings available anymore for such price ranking. The price range between 2.000 euro per square meter and 4.000 euro per square meter is currently the most important. The price range between 4.000 euro per square meter and 6.000 euro per square meter is in expansion, whereas the highest price range (from 6.000 euro per square meter) stays under 10% (Hyp Wohnmarktreport). Theoritical, affordable housings are still existing in each districts: less than a third of the apartments in Berlin have been promoted from 6,50 euro for moderate households or rented out for modest income. It also concerns real estate with qualitative disadvantages (such as situation, environmental conditions or built volumes). On this page, our real estate agency Invest-AB informs you about the real estate prices with a view of the real estate types, such as political and economical changes and the trends for the year 2019. According to the current real estate situation in Berlin, the real estate prices are increasing for all types of properties. The decisive facts for the average prices square meter are rather the facilities and especially the place of the property, then the surface of it. For existing apartments, the prices are even more dependant from criterias such as the environment, the quality, the age and the surface. The average surfaces for apartments in Berlin in 2017 was 70,4 square meters (Focus). The average Neubau-housings has a surface under 100 square meters. Neubau apartments are in average approximately 10 square meters bigger then Altbau apartments, which are about 16% in Berlin (Zensus, 2011). In the capital, more then 50% of the private households are invidual houselholds (berlin.de). Overall Berlin spreads over approximately 1,9 million apartments, therefrom approximately 1,6 million apartments are rented (Statistik Berlin Brandenburg). In the capital more and more apartments are converted into personal housings. In the last years, the increase from personal apartments is also the concentration point in construction. The offer for apartment buildings is therefore even more reduced. The lowest offer for increasing demands take care of the growing prices. Owner of residential buildings increased their asking prices in 2018 from an average of 16,4% per square meter (BerlinHyp, Wohnmarktberich). The research company “F+B” shared, that Berlin’s standard apartment in the second quarter 2018 has an average rent of 9,33 euro per square meter. In comparaison: the average rent in 2017 was approximately 8,57 euro per square meter. In Neukölln and Marzahn-Hellersdorf the highest rent increase has been registred, in Friedrichshain-Kreuzberg the average rent is evoluating too. Even the principle, that unoccupied apartments cost more money to buy, is not so evident anymore, because real estate is a beloved investment – when the return follows. An other trend concerns furnished apartments. It mostly concerns international students and buisness persons, thanks to the digitalisation. They come in the German metropole only for a short time and are generaly looking for a furnished place to rent. Record prices are registred for single properties. 6,6 milion euros have been spent for a villa in Grünewald. The prices for houses located in good areas are evoluating between 500.000 and 2,5 milion euros for already built properties and between 600.000 and 3,5 milion euros for Neubau buildings (Bellevue). Houses are mostly searched outside of the Ring. In Berlin, the environment has a crucial role on the price. Nevertheless all clichés about the Berlin’s real estate market are not true. 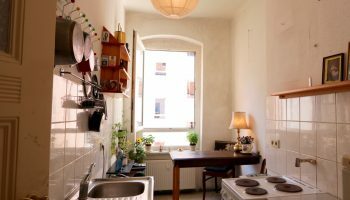 In coveted places such as Prenzlauer Berg and its Jugendstil elements or Mitte, you can find properties with affordable rents such as households with low spending capacities. Despite the different building techniques, from stucco Atlbau apartments or prefabricated buildings to futuristic architecture, there is a coherence from each district and the real estate buildings: in every single places, the prices are increasing. According to the “Guardian” the jump was between 2016 and 2017 from 20,5%. The front runner of the rent increase were in Neukölln and Marzahn-Hellersdorf. In the beloved Charlottenburg-Wilmersdorf, most apartment buildings have an average selling price per square meter of 2.854 euro per square meter and are especially high. The district Steglitz-Zehlendorf follows (Hyp Wohnmarktreport). 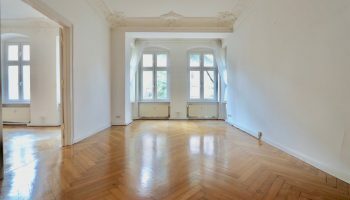 In Friedrichshain-Kreuzberg, the rent average price is seriously changing and the prices are closing and about 5.000 euro per square meter. Moabit and Kreuzberg come after and the lowest prices are in Spandau, Reinickendorf, Tegel und Hellersdorf. Rent prices are increasing in Spandau and in Tempelhof-Schöneberg (Hyp Wohnmarktreport). There, where mostly of the new arrivals are located, the highest average price record has been reached. In Mitte, the average price is 4.688 euro per square meter for individual apartments. The central adresses are especially beloved by investors with important capital and high demand for facilities, connexions and high quality life standards. In the Berlin’s Speckgürtel, you will find personal housings with the highest facilities and equipment. In Berlin more and more rented apartments are transformed into owner-occupied apartments. Therefore the “community preservation areas” (Milieuschutzgebiet) has been introduced: the transformation has to be approved by the district. Currently, they are 46 community preservation areas in Berlin. 13 in the district of Pankow and 9 in Friedrichshain-Kreuzberg. The protection concerns 750.000 inhabitants of the city. 13 new places are currently prepared to receive this protection, among others in Mitte, Tempelhof-Schöneberg and Reinickendorf. They shall be applicated in the midle of 2019. This decree had actually a bad aspect on the buying prices. Some buildings could not be divided in joint properties, it reduced the number of offers on areas with growing demands. So the prices increased faster than expected. Furthermore the draft of the law about “the addition of rules on the amount of rent at the beginning of the rental period and the modernisations’ adjustment of the rented property (tenancy law adjustment)” („Gesetzes zur Ergänzung der Regelungen über die zulässige Miethöhe bei Mietbeginn und zur Anpassung der Regelungen über die Modernisierung der Mietsache (Mietrechtsanpassungsgesetz – MietAnpG)“) has been adopted the 05.09.2018 by the federal cabinet. Thus some aspects of Berlin’s real estate market will be changed. 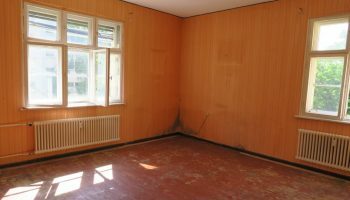 Concerning the “rentbrake” (“Mietpreisbremse“): landlords will soon be obligated to advice the tenant, before signing the rental contract, about the previous rents of the apartment. Afterwards, as the landlord requires a rent, corresponding to the previous rents of the apartment and regarding the § 556e Abs. 1 BGB, it shall be beyong the rentbrake of the autorisated rents. If there is an other reason for the highest rents, the landlord has to give informations about it. If the landlord does not give informations in these cases, the tenant has the autorisation to require a rent not higher than the authorised by the rentbrake. It represents a maximum of 10% more than comparable rents customary in a place. Besides the exceptional cases from the legal text form, which have to be fulfilled, otherwise they will not be effective. Also the complaint of the tenant have to be simplified. The draft of the law also states, that the costs of modernisations in defined places (in which they are little affordable housings) can only be transfered from 8% to the tenant each year. So far, it was 11%. Moreover the calculation of these costs have to be simplified. A limit from 3 euro per square meter is intended for modernisations within 6 years. The law draft contains the rules, which shall protect the tenant from cancellation because of the modernisations and protects the involved costs. The “outside-modernisation” (“Herausmodernisieren“) has to apply the administrative offence. The draft law will become effective on the 01.01.2019. Until then, it can still be modified. Berlin’s economy and especially the one of the metropolitan area Berlin-Brandenburg is strong. The areas take advantage from each other through important firms and Berlin’s international knowned capital statut. 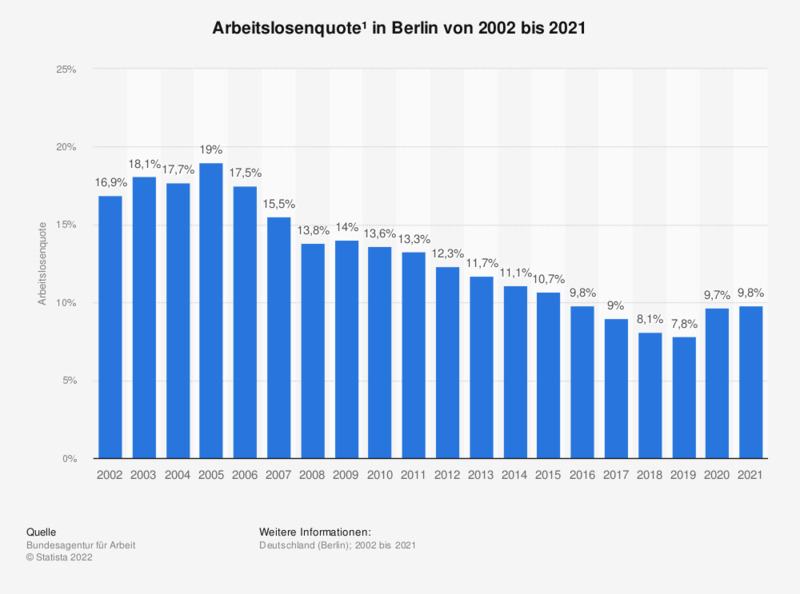 The unemployment rate was 7,9% in 2018 (Berliner Zeitung, Stand Juni 2018), always decreasing since 2005 where it was 19%, and the household incomes are increasing. The flow of new arrivals increases the gross domestic product (“Bruttoinlandsprodukt“) from +1,5% each year (Prognos AG). The BER airports produce a perception from Berlin as a metropolitan world city. Thanks to these positive evolutions, the investment market is evoluating in a dynamic way. The strong economy makes Berlin a belowed city to live in with attractive work places, such as a promising company locations. Thereby the demand for living and workplaces is very high. Investors, local and international, hope that the economy will continue to grow in a positive way and increases the value in the real estate branch. On the whole, Germany impress because of its relative well-balenced State budget, the price stability, the employees situation such as its constant growth. The current tax spurres the real estate market, but could also have consequences in case of a changeover (More informations in “Trends for the Berlin real estate market 2019”). It has to be considered, that even if the lack of housings lasts in the capital. Berlin will still continue to be an economically strong interesting place and therefore it still continue to attract people from different age groups. Despite the constant construction of Neubau buildings, we can not conclue therefore, that the lack will be hidden by the growth. Berlin will have four million inhabitants in 2045 (Prognos AG, neuen Deutschland-Report). Due to the political and economical situation in other countries and the lack of alternative possibilities, Berlin stays a beloved and attractive place for investors, local such as international. Therefore, international investors are both interested in the increase of value and the return, which shall probably decrease because of the increasing price in the real estate in the next years. The real estate plateform immowelt led to the conclusion, among other things, that the real estate prices in German cities will increase up to 28% before the end of 2020. Even if it will not be as strong as the former years, thanks to the new construction projects. Some experts alarm about a fall in prices because of taxes and/or a low return. The objective for 2019 is still to contain the rapidly rising prices and the lack of housings (such as the interdepency of these factors) with Neubau constructions. It will be more difficult in the inner coveted places, because only few places are still available. Therefore, it is inevitable that these places will be more expensive and will be followed by the increase of the value. Furthermore and despite the introduction of new community preservation areas, the development of a global transformation movement from rental apartments to owner-occupied apartments can not be denyied. It has to be counted with the agreement for self-use need and the increase of rent. The transformation of the Berlin’s surroundings will be stronger too, especially for the household with low incomes. In the future, it could conduct to the development from less eligible places to a probably later gentrification of those. Because of these transformations, the infrastructures shall be improved too. The numerous age groups in Berlin and the will of families to live urbanely shall increase the number of places suitable for old persons such as families in the city. According to the current real estate situation, properties will be strongly hold. The “buy and sell” strategy transformed itself to “buy and hold“. It also induces, that rented object such as Neubau constructions produced to be rented out, shall be more and more attractive. Despite the current real estate situation, all prices will not be approved on the market. One reason therefore is the installation of young persons and households with stronger incomes in Berlin. Overall, the middle and high incomes are becoming the most important part in Berlin. Because of the complexity of the current market, buyers are requesting the exact informations about the properties. There is the possibility for the seller to recognise the potential of the district, to estimate the new trends and to know the political basic conditions in order to take advantage from these. Under the word “service”, we consider ourselves as professional partners to sell your property in Berlin at its best price. Our real estate experts will advice you and work with numbers and facts. We organise and verify all the relevant documents for the selling of your property and will market it at its best price. 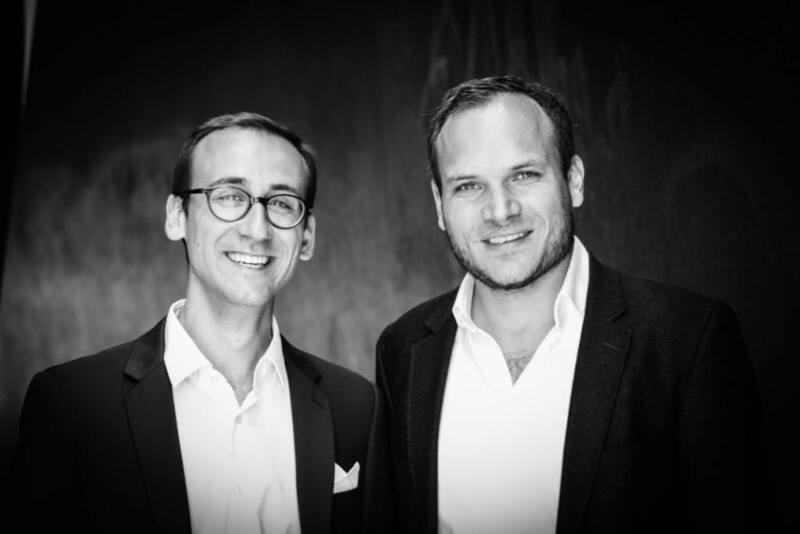 As a real estate agency with French-German roots, we take advantage of an international customers network and data bank. We regularly inform our customers by mailing and newsletter. In order to sell your property at its best price, we filter our potential customers and will target our customers to sell your property. We proof their financial capacities and serious. If your property is a individual apartment, a building, a loft or a penthouse, we will find the right buyer for it. The real estate experts will organise visits of your good in Berlin. With your agreement, our real estate experts will conduct the selling negotations with the buyer. All relevant points of the contract will be discuss between both parties. Our real estate agency organise the coordination with the notary and organise the redaction of the selling contract. Our relation is based on a long term vision, we are at your side from the valuation to signature of the selling contract. Our real estate experts have a long experience of the German real estate market. Since 2012, we collect market datas and are therefore able to estimate the future trends. Our real estate agency is specialised on the Berlin real estate market, and knows the local specificities. You could sell your property in a professional, free, conform to the market way and moreover, at its best price. You will take advantage of our extensive Know How. Our real-estate experts will create a profesional and clear documentation on your housing. We market your property, if it is a flat, a building or a loft, with a fitting marketing and sale strategy according to your needs. It could be on-line and off-line, local and international, discreetly or extended. We find the perfect buyer for your property in our customer databank or through the knowed German real estate plateforms and our three international websites. Besides, we show your property in its best light, with a professional photographer and an exposé into German, French and English. You can easely reach us for personal discussions. Our international team has an important expert-network in Berlin. While you need a notary, a lawyer, an architect or a handworker – we will introduce you to the person you are looking for. You will be in the best conditions to sell your good in a quick and successful way. We sell your property at its best price. Our agency delivers a premium service for sellers and buyers. We provide a free valuation of your property in Berlin and in Germany. Our team will be at your side through all the steps of the selling process, from valuation till the signatures by the notary as well as for the the handover of the keys. Take contact with us today. We are looking forward to helping you in your project.